The emigration year of 1852 stands out as the year of illness and death on the trail for humans and animals alike. Most of the human toll was the result of cholera. While the diaries often suggest that the cattle died from an imaginary disease called "hollow horn", it is thought by some experts that the loss of cattle was actually due to anthrax with the stress of the journey as a contributing factor. The diaries and journals available for that year mention seeing wagons "as far as the eye can see" both ahead and behind. While it has been estimated that over 10,000 adventurous souls started out for Oregon in 1852, an accounting of how many actually arrived is hard to determine. It is thought that as many as 1,000 may have turned back. Death definitely took a toll and then there were those who, at the last minute, turned off for California. The emigrants going to California that year was estimated at upwards of 50,000. Indians were not as troublesome in 1852 as some of the other years. This was due, in part, to a treaty that was engineered by Thomas Fitzpatrick "Broken Hand" in 1851. The size of the emigration also no doubt had a bearing. Trains were traveling so close to each other that it provided extra security. Most of the trains for 1852 were small in size due to the difficulty in finding water, camping spots and feed for the cattle. A larger train was simply too hard to manage. Most companies were made up of family and friends with single men hired to drive wagons and assist with the cattle. Assuming that a train consisted of 50 or fewer individuals it would mean that there were at least 200 separate trains headed for Oregon. And this would not account for the approximately 1000 companies headed for California. As I compile the listing for 1852 I welcome any additions and corrections you care to make. I can be contacted at the email address at the bottom of this page. **Note: death information in brackets marked with RR was provided by Richard Rieck, Professor Emeritus, Western Illinois Univ who has spent many years researching deaths on the Oregon Trail. *1) Capt. Alvin Clark company consisted of about 28 individuals. The company left Council Bluffs May 8 and arrived at Oregon City October 2, 1852. There were 3 deaths in this company. *2b) Caleb Richey Company left Henry County, Iowa April 1852 and traveled closely with the Booth train. *3) Capt John Metzker, originally an emigrant of 1848 returned east and led a party of family and friends to OR in 1852. There were 22 wagons in the group. *9) Capt. Jacob Jones left Northfield, Boone Co, IN on March 2, 1852 leading a caravan of 52 covered wagons drawn by ox-teams. There were 46 people on the train (This is the only number I found). All the wagons but one belonged to the family. Each wagon was drawn by three or four yoke of oxen, that would be over one hundred fifty. They started from Indiana and crossed the Missouri River at Council Bluffs, taking the Oregon Trail up the Platte River, and after a six month journey they arrived at The Dalles on September 28, remaining there until December. .... On the trip to Oregon they lost five members to cholera. Those who died were Lydia JONES (1`844-1852); Mrs. Cynthia Ann JONES died 26 June 1852; Mrs. Sarah JONES; Mark Dugan JONES; William Lemley JONES (buried near The Dalles)"; source: Paul Rekow's Family Tree http://wc.rootsweb.com/cgi-bin/igm.cgi?db=paulrekow; contributed by Ken Robinson, Rancho Cordova, CA, http://wc.rootsweb.com/cgi-bin/igm.cgi?db=kenskin39. Note per Ken Robinson: I'm not quite sure how "46 people" - including children - managed 52 wagons. I'm suspicious of the math. Any additional information would be appreciated. *14) Capt. 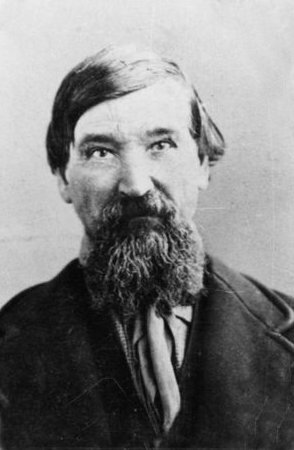 Joseph McMillen started from Illinois leading a party of eight wagons (one that was cutting off for California) that included the Adams, McMillen, Miller, Wilson, Raymond and Blank families. The company arrived at Council Bluffs June 3, 1852. June 18 they had eight wagons, 16 men, 10 ladies + children. On August 18, 1852 in Snake river country they joined six wagons led by Capt. Benjamin Hyland for added protection through Indian country. It made 14 wagons and 32 able bodied men. [Covered Wagon Women Vol 5; Diary of Cecelia (McMillen) Adams and Parthenia (McMillen) Blank]; On September 21 Joseph McMillen, John Stowell and Mr. Raymond left the company along with eleven others to pack to The Dalles. The diary makes note of passing 390+ graves along the trail but only mentions the names of four of them.. Also notes that on June 26 a fight broke out in camp between a man and his son-in-law. They were asked to leave the company with their families. Five days later the older man was ill and on July 2 it states"the sick man is dead this morning. Wrapped him in bed clothes and layed him in the ground without any coffin". [The family name was never given]. The company arrived at The Dalles Oct 24, 1852. *21): Capt. Mercer Thompson train started from Newton Co, MO Mar 20, 1852 and consisted of approximately 100 adults. *23) Hinkle Train originating in Perry Co, MO arrived in Oregon in Oct 1852. *24) Jones Family Train; captained by Jacob Jones this train consisted of 49 known individuals, all family members with the exception of 7 individuals. The train started from Northfield, Indiana, on the 15th of March, 1852, and reached The Dalles, Oregon, on the 19th of September. This list has been compiled by family researcher Willard Anderson. He graciously shared the information with me for the benefit of others interested in this family. *26) Capt Newton D. Gilham led a train from Macoupin Co, IL that consisted of about 20 wagons and 70 people. Along with his family it included the families of Jesse Moreland, Mitchell Owen, Francis Robinson, Samuel Nelson and Woodford Reams. *29) Three Wagons Trains from Arkansas by Don Guenther consisted of three trains that split and went different routes. There were a number of different captains along the way. Names include Tigard, Harer, Winn, Ingram and numerous others. Note: all female members of the emigration will be listed by maiden name, if known, even if they were married at the time of emigration. JACKSON, Jonathan Henry (1810-c1885): m'd 1835 WEST, Ann; born in Kennebec, Maine; by 1855 was living in Wasco County; "Jonathan Jackson was a millwright and did concrete work, stone and setting machinery, etc. They lived in Sheboygan,Wisconsin and two or three other places. Mother was born in Medina County, Ohio. In 1852 the call of more mills to build drew grandfather across the plains to Oregon. He did not come as a farmer so used good horses, a comfortable spring wagon, and brought only his special tools"
JAMES, Thomas F. (1827-1897): m'd [ ], Sophia S.
JEFFRIES, Thomas S. (1818- ): m'd 1849 NICHOLS, Susan R.
JENNE, Lemuel L. (1821- ): m'd 1847 BUCKLEY, Susan E.
JOHNSON, Archibald (1833- ): m'd [ ], Cynthia E.
JOHNSON, Zachariah: m'd 1849 [ ], Elizabeth A.
JONES, David (1799-c1860): m'd 1834 [ ], Rebecca F.
JONES, Elizabeth "Lizzie" (1847- ), d/o Jacob and Susan Perlina (Miller) Jones Jr.
JONES, Esther Jane: m'd 1850 JONES, Silas M.
JONES, Henry (1827- ): m'd 1851 RUDD, Mary J.
JONES, James N. (1845- ), s/o Jacob and Susan Perlina (Miller) Jones Jr.
JONES, Mary Jane (1844- ): d/o Jacob and Susan Perlina (Miller) Jones Jr.
JONES, Nancy: m'd O'Conner, [ ]; m2. FLEMMING, Henry H.
JUSTICE, Isaac B. (1831- ): m'd 1854 [ ], Mary A.
KAYLOR, Harriet: m'd 1850 KAYLOR, Henry F.
KAYS, John A. (1806-1884): m'd HEADRICK, Frances H.
KELTY, John D. ( -1915): m'd 1855 HARVEY, Sarah E.
KERNS, William (c1810- ): m'd 1848 [ ], Lois B.
KIMES, Lewis Ray Jr. (1852- ): s/o Lewis Ray Kimes Sr.
KIMES, Mary E.: m'd 1867 COLLINS, James L.; d/o Lewis Ray Kimes Sr.
*18) KING, Robert H. (1831- ):: owed $50 for his fare; was a farm hand to Tucker Scott in IL; born in PA; helped drive the camp equipage wagon and left by the Snake River August 15th, "To day (August 15) 5 of our company concluded to go on by water. They accordingly fitted up two wagon beds for the purpose and launded them into the Snake, they seem to answer a good purpose and if no accident befalls them they will reach the dalles in ten days or less." (They planned on floating to Fort Boise and then travel afoot on account of the river rapids and falls. The party included John Dixon, Robert Dixon, Frank Gay, Robert King and George Burns. ); first worked at Oregon City as a carpenter; died 29 Feb 1896 at Lafayette, OR; rejoined the Scotts after Fort Boise. He worked at a sawmill at Milwaukie, OR the first winter. KNIFONG, John Martin (1846-1895): m1. 10 Nov 1867 SHELDON, Learny Jane; m2. 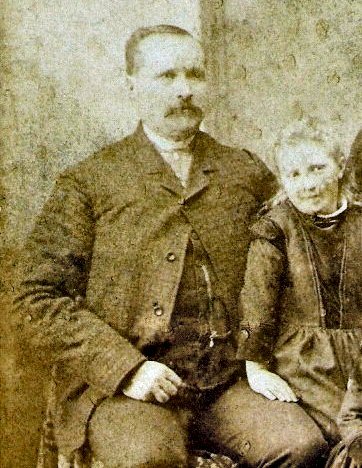 15 Sep 1880 BUTTS, Sarah; s/o Joseph and Rhoda (Thurlo) Knifong; father of 1 child (Olive) by first wife; father of 5 children by second wife (Minnie Maude, Ella, Hettie Pearl, Litta Sadie and Charity); settled in Willamina area; was working at the Waterloo Woolen Mill as a night watchman when he was murdered by persons unknown. LACEY, John S.: m'd [ ], Mary; born 1809 NY and died died in Jackson Point, MO in Sep 1851 while preparing for emigration west with brothers; a baby born in 1851 died during the same time as the father. LAFFEY, Bernard Laffey (1821-1898), husband of Susannah Downing; s/o Isabel (Fair) Laffey; The Laffey clan came from eastern Michigan as the snow melted in 1852 and made it to Portland, Oregon, where they spent the winter. They moved up to Kelso, Washington, the next spring. Isabel Fair Laffey, (originally from Ireland) was 63 years old when she made this trek across the continent. Bernard and Susannah Laffey were newly-weds when they made this journey. After settling in Kelso, WA, Bernard and Susannah had 7 children, but they had to bury 6 of them. The five children that I know of were: Zelia Isabella (1854-1886), Charles (1856-1876), Richard (1859-1874), Rufus (1864-1869), and Mary (1872-1972). LAFFEY, Charlotte Laffey (1818-1879): m'd MCMILLEN, Hugh, d/o Isabel (Fair) Laffey. LAFFEY, Mary (1872-1972)m'd COLLINS, Everell (1866-1940); d/o Bernard and Susannah (Downing) Laffey; lived to be 100. LAMON, Virginia: m'd MOORES, John H.
LANE, Elizabeth: m'd 1840 HAWKINS, John S.
LATOURETTE, Josephine (c1838-1928): m'd c 1855 BUCHTEL, Joseph; Josephine was enumerated in the household of her uncle, Miren Swick, in the 1850 Michigan census. Josephine died Feb 7, 1928 at Portland. LAWRENCE, Bide M. (1846- ): c/o John and Hester (Miller) Lawrence; appears in 1850 Lee Co, IA census as female and in 1860 Benton Co, OR census as male. LEVERICH, Thomas (1810- ): m'd 1834 [ ], Mary A.
LEWIS, George Washington (1842-1922): m'd bef 1865 SEARS, Mary G.
LEWIS, James Preston (1830-1906): m'd 1853 TYCER, Tennessee T.
LEWIS, James W. (1843- ): m'd 1866 RIGGS, Sarah A.
LEWMAN, John A. (1834-1919): m'd 1863 SMITH, Cecilia L.
LIGGETT, Enoch; see: LEGET, E.
LISENBY, Permelia Ann (1832-1882): m'd c1850 GARRETT, Thomas G.
*1) LONG, John Clark (1842-1852): s/o Ransom and Bertha (Clark) Long; died May/June in Nebraska on the way to Oregon; some researchers give the death date as April 10, 1852 in Wyoming which would not be correct as most of the trains did not start early enough to reach that point by that date. 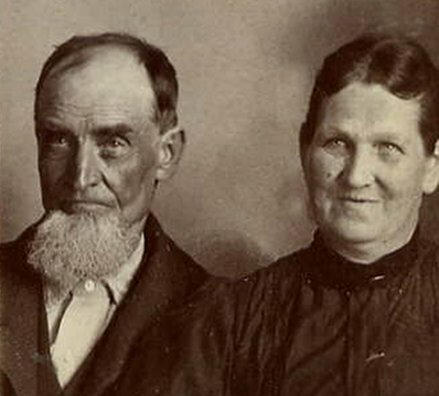 *5: LUCAS, Narcissa: m'd 08 Sep 1830 BRENTS, James D.; married James Deal Brents 08 Sep 1830 in Sangamon Co., Illinois. They removed to Pike Co., Illinois in 1832, and continued to live there until heading west in 1852. LYON, Ora (c1822- ): m'd 1849 [ ], Sarah E.
LYONS, Daniel Jackson (1813- ): m'd 1849 [ ], Virginia F.
MACE, Joseph A.: On July 7 Joseph Mace overtook the Akin party. It is unknown at this time if he had traveled with them previously. MACE, Kate: m'd 1850 HENDERSON, S. J.
MACK, William Orlando (1820- ): m'd 1845 GRAHAM, Louisa M.
"MAGERS, WILLIAM B., M.D.--Born in Brook County, West Virginia, May 2, 1819; moved to Jefferson County, Ohio, in 1836, and to Morgan County in 1839. On coming to Oregon he settled at Oregon City; his present residence is on Salt Creek, Polk County; his occupation is physician and surgeon. He married Mary J. Barkhurst in Morgan County, Ohio, November 17, 1846, and their children s names are John E., Sarah E., William I. (deceased), Charles E., James P., Francis M., Mary V., George W., lone J., Albert Gr., Wesley B., Minetta M., and Lemuel E. (deceased)." MAHAN, William H. (1830- ): m'd 1852 [ ], Miranda G.
*16) MANNING, Elizabeth: m'd 1840 KAUFFMAN, John S.
MARCH, William: Traveled with the Chapman Train. Mentioned in Samuel Woodruff diary. MARSHALL, Susan Jane: m'd 1850 MARSHALL, Joseph L.
MARTIN, Lucretia: m'd COWLS, John W.
*25) MASON, William (1812- ): m'd 1834 DAVIDSON,Margaret E.
MATHENY, Elizabeth Jane (1839-1869), m'd 31 Oct 1855, Marion Co, OT, McBEE, John Wesley; d/o Permit and Mary (unkn) Matheny. Permit Matheny died in 1849 without enough value in his estate to pay his debts, so it is likely that the widow Mary Matheny sent several of her children to Oregon with her eldest daughter and son-in-law. The Matheny and McBee familes were neighbors in Ray Co, MO. MATHENY, Margaret (1837-1876), m'd 29 Aug 1855, Marion Co, OT, JUDSON, Leonard Bowdish; d/o Permit and Mary (unkn) Matheny. Leonard Judson was s/o Lewis Hubbell Judson and Elmira Roberts. MATHENY, Samuel Perman (1833-1911), m'd 25 Sep 1865, Salem, Marion Co, OR, JUDSON, Elmira; s/o Permit and Mary (unkn) Matheny. 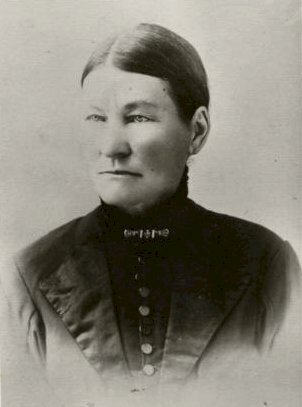 Elmira Judson was d/o Lewis Hubbell Judson and Nancy Hawkins. MATHENY, Sarah (1825-1864), m'd 13 Jul 1845, Ray Co, MO, McBEE, John; d/o Permit and Mary (unkn) Matheny. McAllister, Emily Frances (1848 - 1852) - d/o John & Mary Jane (Thomas) McAllister. Died soon after the family arrived in Tumwater. Buried at Ayer's Hill. McBEE, Barbara Ann (1837-1927) m'd 13 Dec 1852, Washington Co, OT, CHAMBREAU, Edouard Emanuel; d/o Levi and Barbara (Ream) McBee. Orphaned by death of both parents on Oregon Trail. McBEE, Caroline (1842-1935) m'd 24 Feb 1856, Douglas Co, OT, BEEMAN, Rufus Horatio; d/o Levi and Barbara (Ream) McBee. Orphaned by death of both parents on Oregon Trail. McBEE, David (1843-1930), m'd 22 Apr 1868, Benton Co, OR, GRIMSLEY, Sarah Jane; s/o William and Elizabeth (Milligan) McBee. McBEE, Elizabeth (1837-1889), m'd 31 Dec 1857, Benton Co, OT, LINEBARGER, Andrew Jackson; d/o William and Elizabeth (Milligan) McBee. 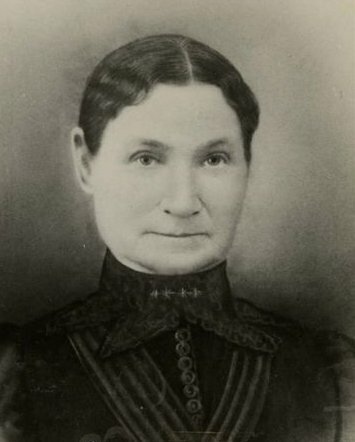 McBEE, Frances F. (1848-1863); d/o of John and Sarah (Matheny) McBee. McBEE, George (1835-1879), m'd bef. 1865, PORTER, Missouri Elizabeth; s/o William and Elizabeth (Milligan) McBee. McBEE, George Washington (1846-1933), m'd 27 May 1868, Marion Co, OR, LEABO, Venicie Mary Jane; s/o of John and Sarah (Matheny) McBee. McBEE, Henry (1849-1852); s/o Levi and Barbara (Ream) McBee. Died of cholera on Oregon Trail and buried with mother and infant at Ash Hollow, NE. McBEE, Isaiah (1840-1915); s/o Levi and Barbara (Ream) McBee. Orphaned by death of both parents on Oregon Trail. McBEE, James P. "Doc" (1846-1906), m'd 1896, STROW, Iva May; s/o William and Elizabeth (Milligan) McBee. McBEE, John (1819-1865), m'd 13 Jul 1845, Ray Co, MO, MATHENY, Sarah; s/o Thomas and Rachel (Rilet) McBee. Settled in Marion Co. Their daughter Sarah Alice McBee, born in Oregon 2 Nov 1855, married Robert Thomas Judson, younger brother of her uncle Leonard Bowdish Judson, 18 Jan 1874 in Salem, Marion Co.
McBEE, John M. (1850-1852); s/o of John and Sarah (Matheny) McBee. Died on Oregon Trail. McBEE, John T. (1833-1927), m'd aft. 1870, Douglas Co, OR, SEARLES, Lucinda E; s/o Thomas and Susannah (Milligan) McBee. McBEE, John Wesley (1831-188), m'd 1st 31 Oct 1855, Marion Co, OT, MATHENY, Elizabeth Jane; s/o William and Elizabeth (Milligan) McBee. Settled in Benton Co. M'd 2nd 21 Jul 1874, Benton Co, OR, GRUBBS, Josephine, sold Benton Co farm in 1874 and moved to Lane Co.
McBEE, Levi (1814-1852), m'd 31 Jan 1833, Stark Co, OH, REAM, Barbara Elizabeth; s/o Thomas and Rachel (Rilet) McBee. Died of cholera near Fort Kearney, NE; reportedly elected captain of the McBee wagon train. McBEE, Mary Pauline (1844-1896), m'd 1st 24 Dec 1857, Washington Co, OT, WILKES, George Washington; d/o Levi and Barbara (Ream) McBee. Orphaned by death of both parents on Oregon Trail. M'd 2nd 21 Aug 1867, Washington Co, OR, RADCLIFF, William. McBEE, Nancy Jane (1849-1916), m'd 18 May 1864, Benton Co, OR, SMITH, Tyra William Bray; d/o William and Elizabeth (Milligan) McBee. 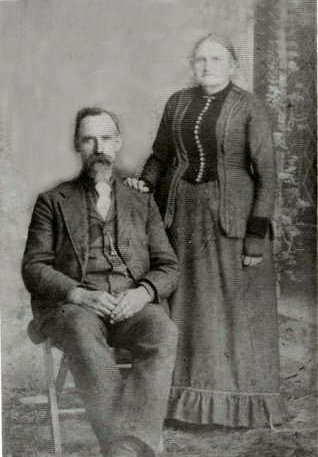 McBEE, Rebecca (1847-1923), m'd 3 Jan 1861, Washington Co, OR, KNIGHTEN, Isaac; d/o Levi and Barbara (Ream) McBee. Orphaned by death of both parents on Oregon Trail. McBEE, Sarah (1840-? ); d/o Thomas and Susannah (Milligan) McBee. McBEE, Thomas (1833-1859), s/o William and Elizabeth (Milligan) McBee. Died in Benton Co.
McBEE, Thomas (1844-? ); s/o of Thomas and Susannah (Milligan) McBee. McBEE, William (1801-1865), m'd 12 Jun 1828, Stark Co, OH, MILLIGAN, Elizabeth; s/o Thomas and Rachel (Rilet) McBee. Settled in Benton Co.
McBEE, William (1837-? ); s/o Thomas and Susannah (Milligan) McBee. 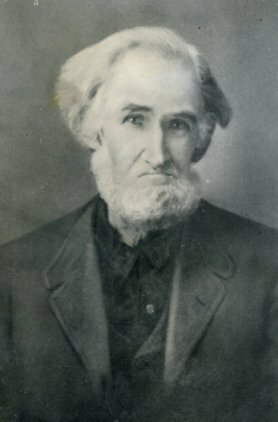 McBEE, William Henry (1839-1924), m'd 27 Jun 1869, Benton Co, OR, VANOY, Anna Eliza; s/o William and Elizabeth (Milligan) McBee. MCCLANE, Fielding ( - ): m'd 1858 COOLIDGE, Sarah J.
MCCARTNEY, Henry A. ( -1893): m'd FINNEY, Margaret A.
MCCARTNEY, John M. (1837-1885): m'd PORTER, Melinda J.
MCCONNELL, Susan: m'd c1846 CHESHER, James T.
*4) MCDONALD, Clara Dillon (1852- ): m'd 1871 CRAWFORD, John Gilmour d/o John and Margaret [Blodgett] Hamilton McDonald. 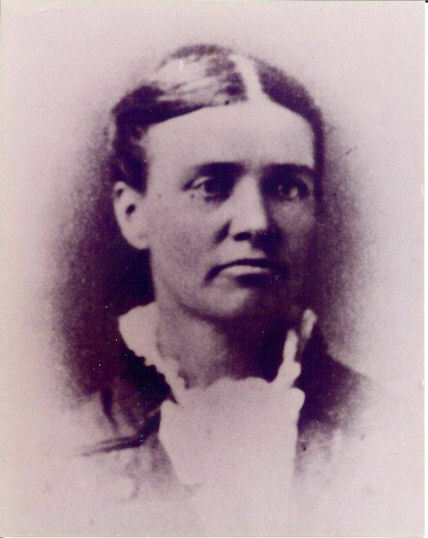 She was born on 14-15 July 1852 near Farewell Bend in what is now either Baker or Malheur county. MCFARLAND, Isaac (1812-1869): m'd 30 May 1832 SIRPLESS/SURPLICE, Eliza; emigrated from Illinois with wife and children, settled at the Dalles, Wasco County, Oregon, was Captain of the steamboat "Wasco"
MCGUIRE, Joseph (1826-1900): m'd 1853 MOORE, Maria; born in Beaver Co, PA; family moved in 1827 to Wayne Co, OH where his mother died when he was only 9 years old; his father died when he was 18; emigrated to OR in 1852; On February 02, 1853, in Salem, Oregon, Joseph married Maria Moore. Family lore is that the Rev. Boone, whose home was on BooneIslandat Salem, officiated at the wedding of Joseph and Maria. The Oregon Legislature was in session in the building next door and at Rev. Boone's request, all of the legislators were invited to witness the ceremony. Joseph and Maria settled for a short time in Oregon City, where their first child, George Henry, was born. In 1854, the family moved to Aurora, Oregon, where Joseph operated a gristmill. 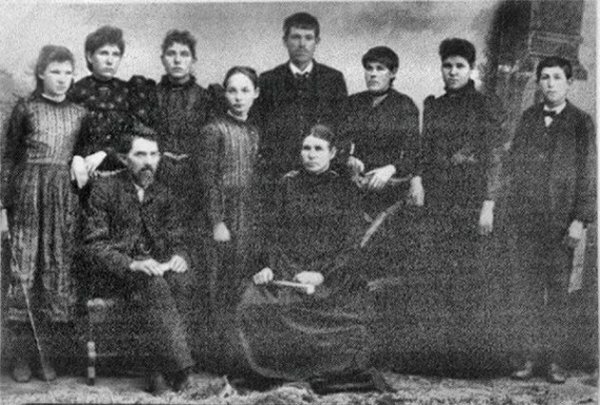 The next year, they took a land donation claim near Bethel, Polk County, Oregon where nine more children – Charles Crawford, Clara Delila, Emma Frances, Anna Belle, Grant Ulysses, Laura Della, Walter Bonaparte, and Homer Clarke, were born. The family remained on the farm until 1875 when they moved to nearby McMinnville. There they built and operated a hotel in town and their youngest child, Henry Clay, was born. As Joseph's health was failing, they sold the hotel in 1891 and moved to Hood River, Oregon where he died March 24, 1900. Maria died April 27, 1919 in Salem. *14) MCMILLEN, Cecelia E. (1829-1867): m'd 1849 ADAMS, William Dr.; d/o Joseph and Ruth (Gannett) McMillan; twin of Parthenia; [Covered Wagon Women Vol 5; diary on pages 253-312] Cecelia was born 16 Feb 1829 in Lodi, NY; she married William Adams 30 Jun 1849 Elgin, IL; both Cecelia and her twin sister, Parthenia were quite short. At one point a lady asked if the mother of the little girls was along. Cecelia was described as a born musician, artist and teacher. She never had any children and died at the age of 38 at the home of her sister in Forest Grove. 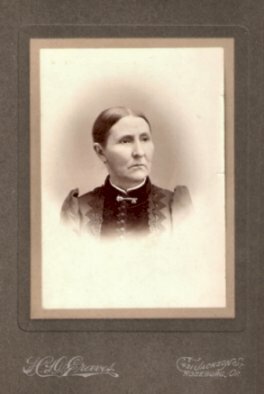 MCMILLEN, Esther Belle: m'd 1852 HANNA, Joseph A. Rev. MCMILLEN, Hugh (1818-1868), m'd LAFFEY, Charlotte. 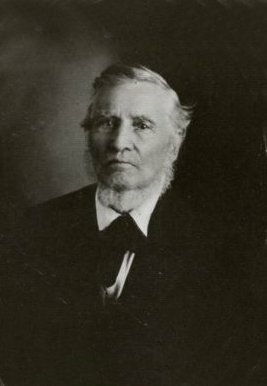 *14) MCMILLEN, Joseph (1797-1890): m'd GANNETT, Ruth; He left his wife and three younger children in IL and traveled with his twin daughters to OR. He returned east in 1856 via the Panama and brought his family overland in 1859. He settled in Forest Grove. Joseph was a millwright. 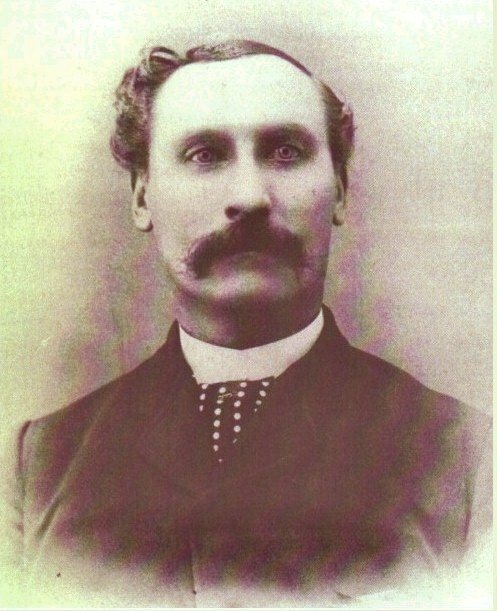 James H. McMillen, a son of Joseph and Ruth, had emigrated to Oregon in 1845. *14) MCMILLEN, Parthenia (1829 -1915): m'd 1850 BLANK, Stephen; d/o Joseph and Ruth (Gannett) McMillan; twin of Cecelia; [Covered Wagon Women Vol 5; diary on pages 253-312 ]; Parthenis was born 16 Feb 1829 in Lodi, NY. She married Stephen Blank 09 Nov 1850 in St. Charles, IL. Stephen was a carpenter and cabinet maker. Both Cecelia and her twin sister, Parthenia were quite short. At one point a lady asked if the mother of the little girls was along. Parthenia was described as taciturn, but never gloomy, she never sang nor played an instrument. She had good taste but no ambition in art. She never taught nor wanted to. She was steady, earnest and a a cheerful worker. Parthenia never had any children but adopted and raised ten orphans. MERRICK, Jane Morris Brown: m'd MERRICK, Mr.
*3) METZKER, Benjamin (1824-1900): m1. 1847 Liney Johnson (died); m2. 1849 Mary McBride; m3. 1875 Jemima Dawson. 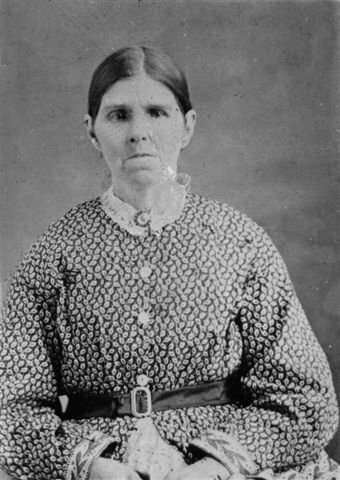 He divorced his second wife, Mary McBride (the sister of Ruth McBride), shortly after arriving in Oregon, having left her in Iowa. 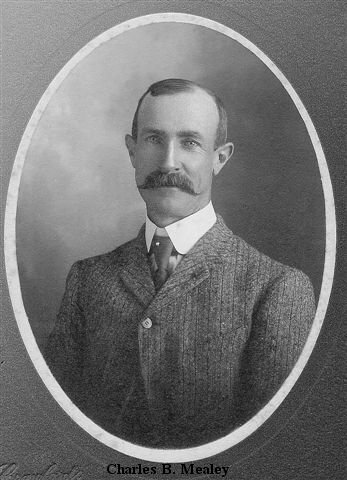 He had a large family with Jemima Dawson, whom he md in 1875 in Medford, Oregon. *3) METZKER, Eliza Jane (1851-1881): m'd 1868 WRIGHT, Benjamin; d/o William and Ruth (McBride) Metzker; Eliza Jane Metzker b. 27 Mar 1851 in Mahaska Co, Iowa. Eliza died 30 Oct 1881 and is buried in Baker City, Baker, Oregon. 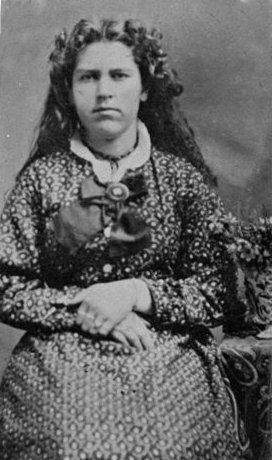 She married Benjamin Wright 31 Dec 1868 in Cove, Union, Oregon. (He was b. 28 Aug 1826 White River Twp, Randolph Co, Indiana d. 27 Feb 1905 Cambridge, Washington, Idaho) They had five children. *3) METZKER, William C. (1830): m'd 1850 MCBRIDE, Ruth; s/o Henry and Elizabeth (Zickafoose) Metzker; William C. Metzker, was born 14 Apr 1830 in Tippecanoe County, Indiana and died 30 Oct 1893 Willow Ranch, Modoc,California. He married 23 May 1850 in Mahaska County, Iowa to Ruth McBride b. 16 Feb 1832 in Ohio and died 8 Nov 1877 in Union Co, Oregon. They had ten children. MEYER, Marie Elizabeth (1779-1867): m'd May 1829 MOCK, Henry A.
MILLDORN, John (1804- ): m'd 1825 LEE, Mary W.
MILLER, Charles D. (1827- ): m'd 1865 GRAY, Nancy M.
MILLER, James H. (1827-1852): m'd 1852 [ ], Mary A.
MILLER, Sebastian E. Capt. (1828- ): m'd 1853 POWER, Sarah E.
MILLER, Susan Perlina: m'd JONES, Jacob Jr.
MILLER, William Y. (1811- ): m'd 1841 HODGEN, Sarah A.
MILLIGAN, Elizabeth (1808-1893), m'd m'd 12 Jun 1828, Stark Co, OH, McBEE, William; sister of Susannah Milligan. MILLIGAN, Susannah (1820-1889), m'd 1st 1 Apr 1832, Stark Co, OH, McBEE, Thomas, s/o Thomas and Rachel (Rilet) McBee. He died bef. 1850. m2. 15 Jan 1857, Benton Co, OT, MILLER, Alanson L. They settled in Douglas Co.
MITCHELL, James: Mentioned in Samuel Woodruff diary. MITCHELL, Sarah Ann (1846-1926): m'd BUNNELL, A.M.
MONROE, Cordelia: m'd ODEN, Levi L.
MOODY, Elizabeth: m'd 1850 PERKINS, James H.
MORGAN, Nancy : m'd 1848 MORGAN, Peter P.
MORGAN, Rawley (1802- ): father of Hiram G., John, Peter, Nancy, Luther, David, Rufus, Erastus, Francis, Clarissa, Catherine and Evan E.
MORRIS, M.L./C. ( c1843-1852): Cecelia (McMillen) Adams mentioned in her diary that they passed the graves of M.C. Morris, aged 9 yrs and Mary Morris, aged 19 yrs. MORRIS, Mary (c1833-1852): Cecelia (McMillen) Adams mentioned in her diary that they passed the graves of M.C. Morris, aged 9 yrs and Mary Morris, aged 19 yrs. MOSS, Stephen P. (1840- ): m1. 1861 ROBNETT, Sarah E.; m2. 1870 CASTEEL, Margaret S.
MURPHEY, Calvin L. (1824- ): m'd 1848 , Margaret E.
MURPHY, Andrew (1826-1896): m'd COSGROVE, Elizabeth A. *25) MURPHY, Emma D. (1850- ): m'd 14 Sep 1873 MCMURRY, James Scott; d/o John and Francis (Doughty) Murphy; born May 1850 Warren Co, IL; mother of 8 children (Ralph, Frank, Glen, Daisy, Myrtle, Nellie, Elsie and Edna); often seen listed as twin of Ellen but I believe this is an error in the 1860 and 1870 census records because Emma is listed in the 1850 Warren Co, IL census as 4 mos old and her sister Ellen was born in 1854 Oregon per the 1860 census. *25) MURPHY, John Turner (1843- ): m'd 06 Mary 1870 ROHRER, Ruth J. *25) MURPHY, Preston Holcomb D. (1842-1930): m'd 21 Jun 1874 BOND,Sarah H.; s/o John and Francis (Doughty) Murphy; born 04 Jan 1842 Warren Co, IL and died 30 Nov 1930 Yamhill Co, OR; listed in the 1870 census as "deaf and dumb"
MYERS, George (1829- ): m'd 1854 ARMENTROUT, Mary E.
MYRTLE, Horace Downing (1823-1883): m'd MILLIORN, Sarah H.
NICHOLS, Susan R.: m'd 1849 JEFFRIES, Thomas S.
NICKERSON, Eliza (c1813-1897): m'd 1834 DENNY, Christian; mother of Laura, Sarah, Owen N., John, Mahala and Presley M.
NIXON, Joseph (1824- ): m'd 1846 PARRISH, H.
NYE, Agnes (1833- ): m'd 1855 THOMPSON, Robert M.
NYE, Rachel: m'd 1840 BLAIN, William Barr d/o John Main Nye and Agnes Jones. 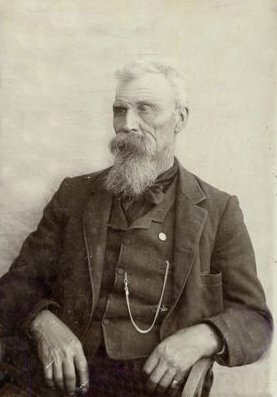 "O'DONALD, JONATHAN--Born in Pennsylvania in 1826; came to Oregon when twenty fouryears of age; lived mainly in Portland and Salem, and worked at his trade of carpenter and stair -builder. Is a member of the firm of O Donald & Jackson, carpenters and builders, in Salem. Married in 1865, and had four children by his first wife William H., Emma, Ella, and Elmer E. By a second marriage he has had Anna and Frank. Residence, Salem." [History of the Willamette Valley by Herbert Lang p. 721] Note: listed in this publication as pioneer of 1850. OGLE, Mary Jane ( -1913): m'd DAVIS, Lemuel E.
OGLESBY, Samuel R. (1812 - ): m'd 1839 [ ], Nancy A.
OLDS, D. G. (1823- ): m'd 1849 EATON, Eveline M.
OLDS, Lucy A.: m'd 1851 DERBY, James R.
OSBORN, Samuel P.: m'd STEWART, Jane B.
OSBORNE, Richard T. (c1823- ):m'd 1845 [ ], Margaret T.
PARK, Joseph (1812-1902): m'd 1861 CURTIS, Mary A.
PARKER, Nancy Ann ( -1907): m'd OLDS, James H.
PARRISH, Lewis M. (1830- ): m'd 1859 WATKINS, Sarah J.
PARRISH, Nancy: m'd 1852 HALL, Amos Z.
PATTERSON, A. W. Dr. (1814-1852): m1. 1847 SOVERN, Elizabeth ( -1848); m2.1859 OLINGER, Amanda C.
PAXTON, Andrew B. (1833- ): m'd 1856 [ ], Nancy J.
PAYNE, Champion (1830- ): m'd MCCALLUM, E.
PELL, Mary Adeline (1839-1915): m'd 1854 HEMBREE, Albert T.
PERKINS, Joel B. (1810- ): m'd 1838 [ ], Margaret M.
PERKINS, Thomas J. (1831- ): m'd 1853 [ ], Eliza J.
PHILLIPS, George Washington (1838- ): m'd TARPLEY, Martha A. PIERCE, William ( -1852): While enroute David Donahue shot and killed William Pierce, another member of the party. The others of the party tried, convicted and shot the murderer and buried him in the same grave with his victim. *4) PLAMONDON, Eugene Michael (1826- ): m1. ; m2. 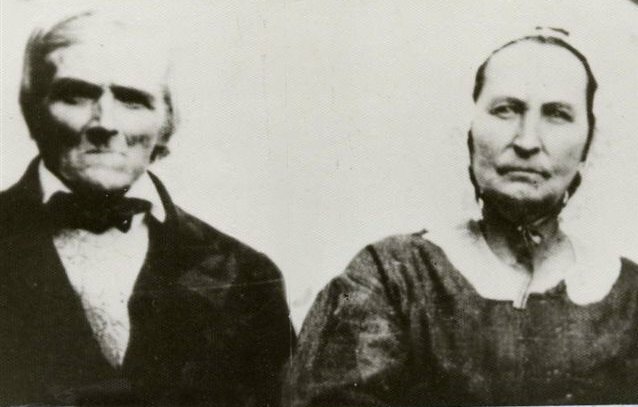 1851 DAVIES, Edith Pocahantas Virginia; m3. 1861 ILLIDGE, Elizabeth; m4. 1867 SCOTT, Mary A.
PLOUGH, Seline: m'd MARTIN, Thomas J.
POMEROY, Lyman (1833- ): m1. 1859 BRELER, Sarah A.; m2. 1860 BRELER, A. S.
PORTER, David Putnam (1827-1889): m'd 1857 HALEY, Parthena J.
POWELL, John B. (1819-1855 ): m'd 1848 [ ], Eliza E.
POWELL, W.S. (1832- ): m'd 1855 HILL, Ellen C.
POWERS, Edward W. (1832- ): m'd 1855 [ ], Louisa M.
2a) PRICE, Belinda (1829-1882: m'd 24 Jul 1847 RHODES, David D.
PROEBSTEL, Andrew P.: settled in Clarke Co, WT; returned to MO c1856 and lived out the remainder of his days there. PROEBSTEL, William ( -1907): La Grande, Ore. --The death of William Proebstel, and Oregon pioneer of 1852,occurred at this home near La Grande September 1. He was 78 years of age. He leaves a wife and family of five children. Two daughters, Mrs. Hattie Eckley and Miss Pollie Proebstel, live in La Grande. Two sons are residents of Arizona, and the other son lives in Montana. [The Spokesman Review, Sept 6, 1907, Spokane, WA. PROPST, Franklin (1832-1917): s/o John Propst; accompanied his uncle, Anthony Propst, to Oregon in 1852; Franklin Propst, was born April 10, 1832, in Fayette County, West Virginia. His father was John, Anthony's brother. His mother is somewhat of a mystery. Some sources say that her name was Anna (Engle or Eagle). Franklin Propst shows up in the Menard County, Illinois, 1850 census as F. Propst, age 18. After he arrived in Oregon, he settled in Linn County where he found work in a sawmill. In 1854 he entered into partnership with F. S. Powell, the mill operator. On June 18, 1855, he married Mary Powell. After the marriage they settled on a donation land grant five miles east of Albany, where they lived for 20 years. He was a farmer. My name is Stephenie Flora. Thanks for stopping by. Return to [ Home Page ] All [ Comments and Inquiries ] are welcome.